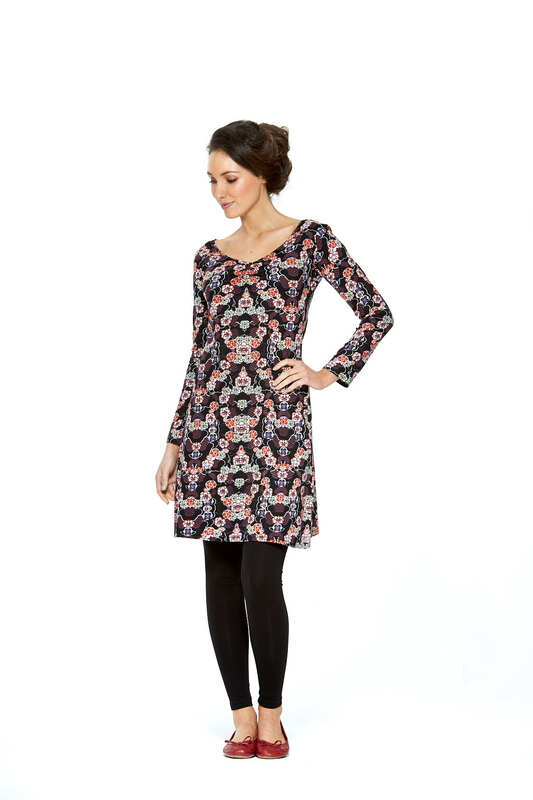 The Rasaleela Poppy Tunic in 100% slightly stretchy Cotton Sinker is a super easy to style addition to your wardrobe. Our gorgeous Japanese "Fuji "print will have heads turning and compliments flying be at work or play. Think leggings, long boots , ankle boots or flats in cooler times or "as is " in the warmer months .